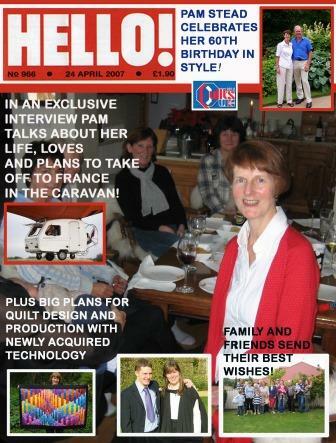 We were left bereft of a great friend on Friday 12 September when Pam Stead, co-founder of Cutting Edge passed away. She, along with Hilary, established Cutting Edge in April 2011. And, she worked hard to ensure that it blossomed into the happy group that it is today. In fact, she was so successful that people are queueing up to get in! What a legacy. Pam will be missed by many, but we can all draw comfort from the fact that we have many happy memories on which to reflect and she will always be there is spirit spurring us on to carry on creating! We had some great times! She loved her quilting and was thrilled at the offers of help to finish binding a quilt that she had made for her daughter’s wedding present. 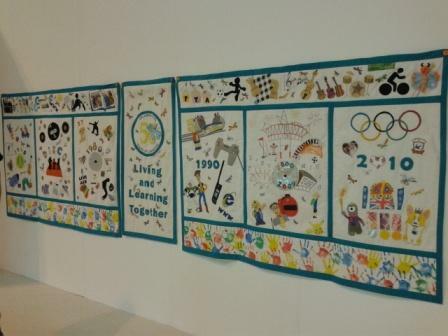 Last year she played a crucial part in the creation of a quilt made to celebrate the 50th anniversary of a friends school and thrilled that the quilt was exhibited at the Festival of Quilts in August this year. 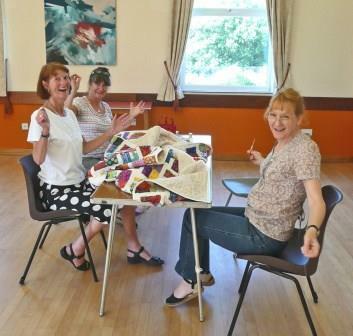 This year she entered the Quilter’s Guild British Finnish Stash Challenge and was so excited when she heard that it had been chosen for exhibition. 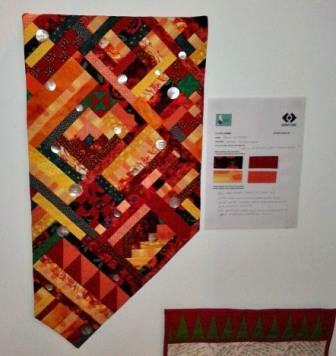 This quilt also featured at the Festival of Quilts in August. 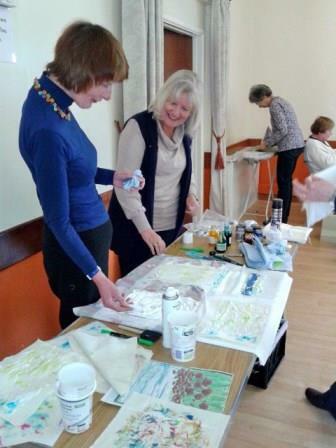 As well as her quilting Pam also liked to experiment with fabric paints, stencil, print blocks and markel stiks and it was always great fun working with her at the Dyeing to Paint group. She particularly liked the shaving foam technique. “Cutting Edge goes on Tour” ? “Cutting Edge – the latest cuts” ? “Cutting Edge comes to Brissle”? “Cutting Edge steps out of the blog” ? 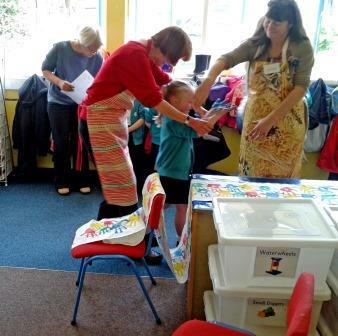 “Cutting Edge – not a hairdresser’s” ? What a girl! We have a hard act to follow. We have received a number of emails from CE members paying tribute to Pam, which are shared below. Throughout 2014 Cutting Edge has been fundraising to support the Bantayan Back to Sea charity in the Phillippines. The funds raised helped to get fishing boats back to sea so that local people had a livelihood again. Six boats were refurbished with the money. 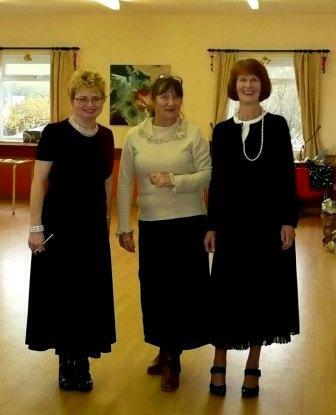 Five were named Cowbridge and in honour of our dear friend one was named Lady Pam Stead. 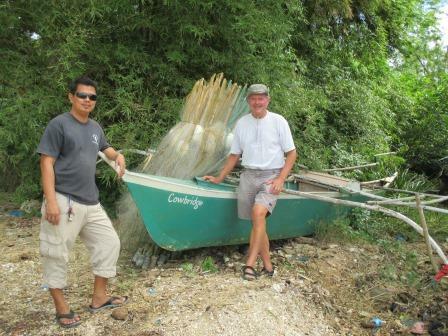 At Christmas Pam’s husband visited the Phillipines and is pictured here with Pam’s boat! 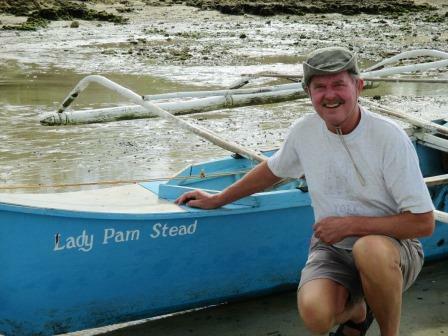 So lovely to see the picture of Roger with the ‘Lady Pam Stead’ boat – bought happy memories of dear Pam to my mind’s eye!